Whether you are ready to replace your old furnace with a state of the art heat pump or just want to upgrade to a newer furnace model, Millie’s Heating & Air Conditioning has the products and expertise you are looking for. We offer a great selection of Amana and Carrier furnaces and heat pumps, and we will be happy to help you figure out which one would be best in your home. Before you can start looking at new heating systems, though, you need to know it is time to replace your old one. Some warning signs of trouble include uneven or inadequate heating of your home, and unexplained increase in your energy bills, or strange noises or leaks coming from your heating system. None of these necessarily mean that you need to replace your heating system, but they all do warrant professional attention. 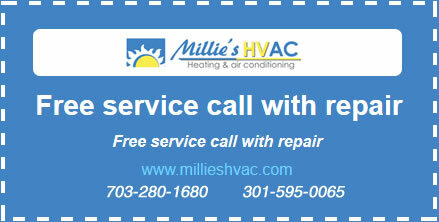 If you do notice any type of change in the way your home heating system functions, it is best to call Millie’s right away. These problems will almost always just get worse, and they will never correct themselves on their own. And while your heating system might still be working adequately, it is almost certainly costing more to run than it should. Replacing an aging heating system sooner rather than later will save you money in both repair bills and energy costs, and it will make you more comfortable in your home. When the time does come to replace your home heating system, Millie’s professionals have the knowledge and skills you are looking for. Our Great Falls heating replacement service includes removal of your old system and professional, proper installation of your new one. We will work with you from the very beginning to make sure the system we install is the right match for your home in terms of features and size, and we will make sure you know how to operate it to take full advantage of those features. Many of the chronic problems that home heating systems develop can be traced back to improper installation, which is why it is so important to have an experienced professional like Millie’s doing the work for you. We have put in countless numbers of heat pumps and furnaces all over Northern Virginia, and we make sure to use only the highest quality parts and materials on all of our jobs. So whether you are ready to schedule your heating replacement or whether you need more information before you make your final decision, do not hesitate to call Millie’s today.